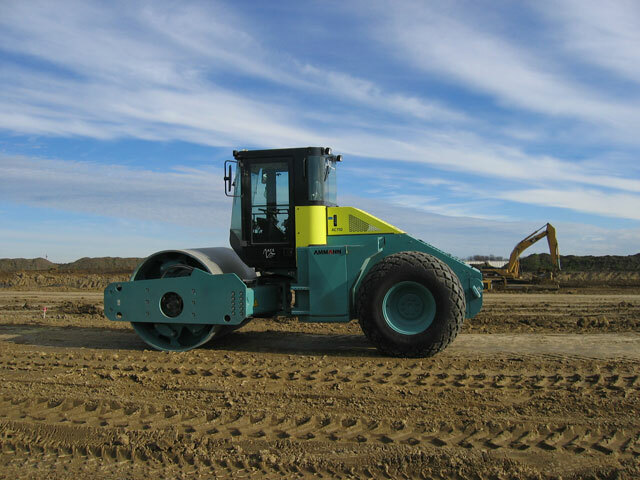 The successful implementation of intelligent compaction technology into earthwork construction practice requires knowledge of the roller-integrated compaction measurements and their relationships with the engineering and index properties of soil that may be used for pavement design (e.g. California bearing ratio, elastic modulus, resilient modulus). 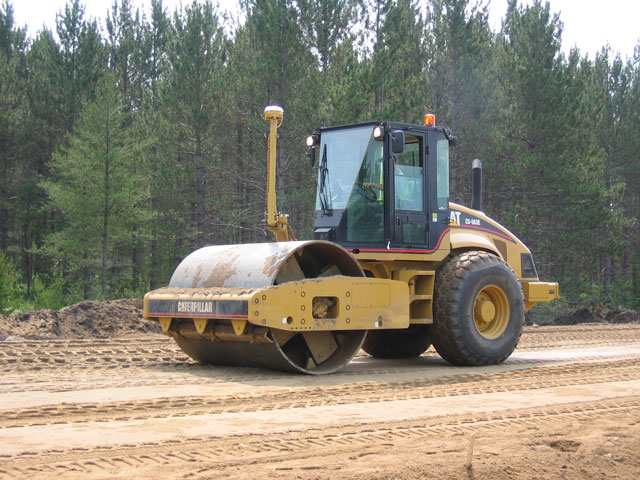 These relationships were studied at three earthwork construction projects in Minnesota. 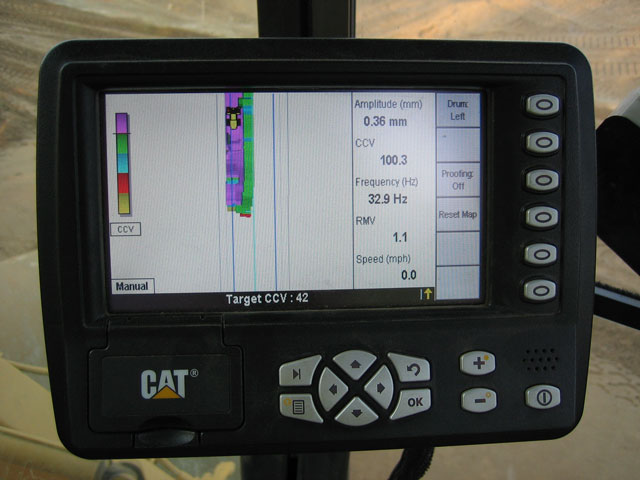 In these field studies, intelligent compaction and in-situ test data were collected to demonstrate use of the various technologies, characterize the variation associated with each measurement system, and ultimately aid performance of regression analyses. For the pilot study at TH 64, a GIS database was created with roller data and parallel quality assurance data to demonstrate one method for managing large quantities of data. Spatial statistics were also determined using variogram modeling and discussed with regards to their potential for characterizing uniformity. A laboratory compaction study using different compaction methods (e.g. 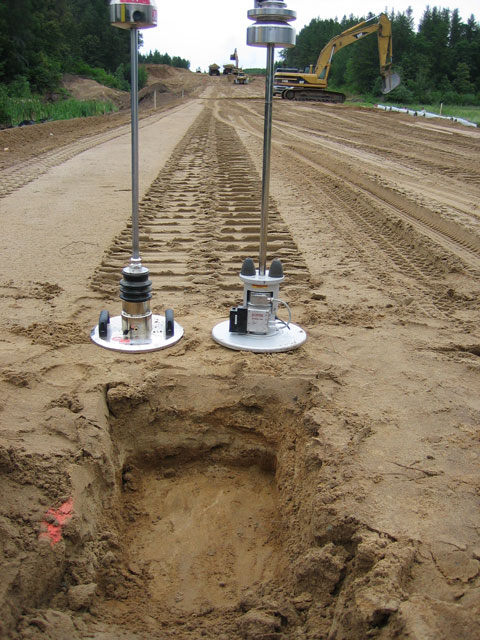 static, impact, gyratory, and vibratory) was conducted to show different moisture-density-compaction energy relationships for granular and cohesive soils. Resilient modulus test results showed that vibratory and impact compaction methods produce higher-modulus samples than static compaction. 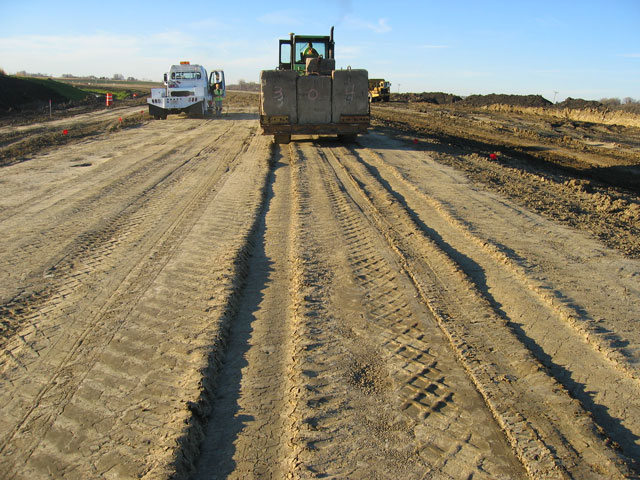 The findings from field studies of intelligent compaction systems provide the basis for developing QC/QA guidelines regarding effective and appropriate use of the technology. These recommendations, along with a brief summary of European specifications for continuous compaction control, are provided in the report.